Hi! My name is Roxy. 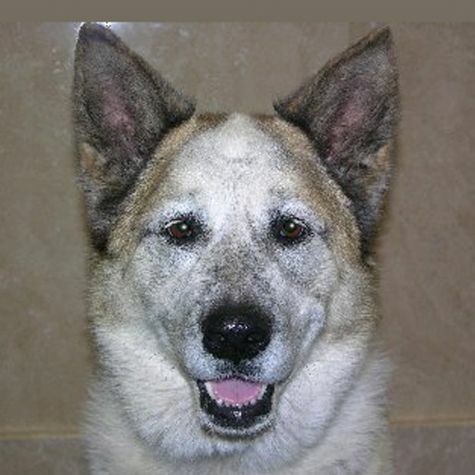 I'm a female Akita mix. My parents rescued me from an animal shelter. I am very mellow and laid back. "Life is good" is my motto. I enjoy napping, walking, and wrestling with my rambunctious brother, Rocky. I am very kind to kids and all people. When my mom coughs or sneezes, I put my head on her lap just to make sure she's okay. I am courageous and not afraid of anything. I love attention, and if you pet me, I will smile for you.